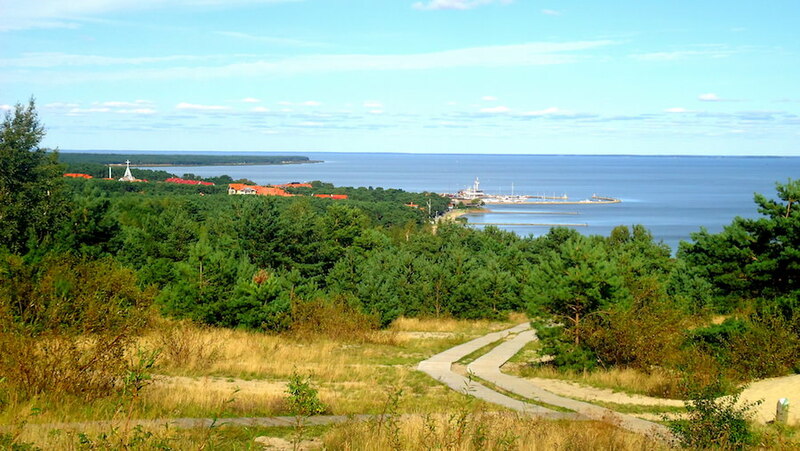 Nida is a tranquil fishing village and the biggest settlement on the beautiful Curonian Spit on the Lithuanian coast. This peacefully breezy and soul soothing resort is a popular destination amongst the local nature lovers and international visitors alike looking for some downtime. 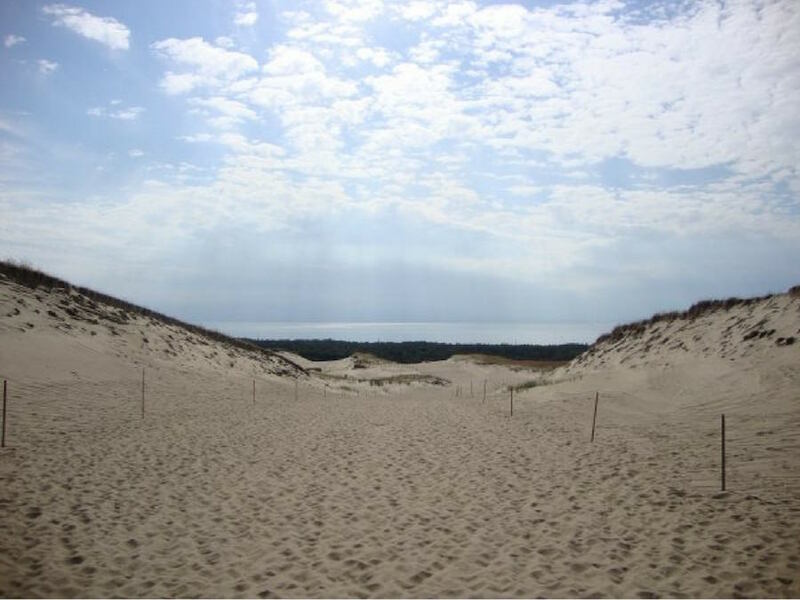 The 98 km long Curonian Spit shares the UNESCO World Heritage Site accolade with Russia. It is divided around the halfway mark with 52 km of the spit belonging to Lithuania and the rest to Kaliningrad (Russia). 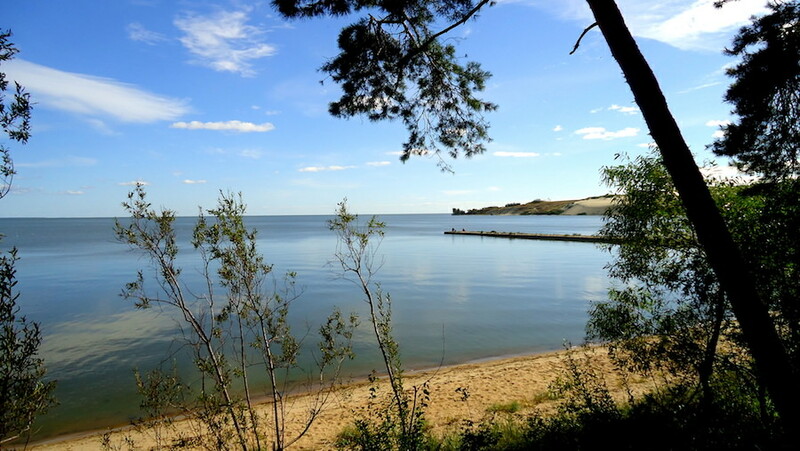 This lone detached strip of land surrounded by the waters of the Baltic sea and the Curonian Lagoon is perhaps one of the most unique places to visit in Lithuania. 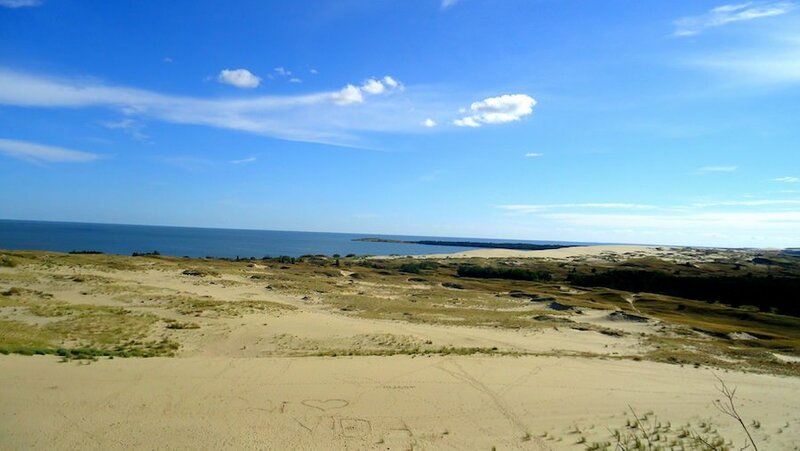 The Curonian Spit, including Nida (Nidden in German) was first mentioned by the Teutonic Knights in 1385, and in 1701 became part of the Kingdom of Prussia. 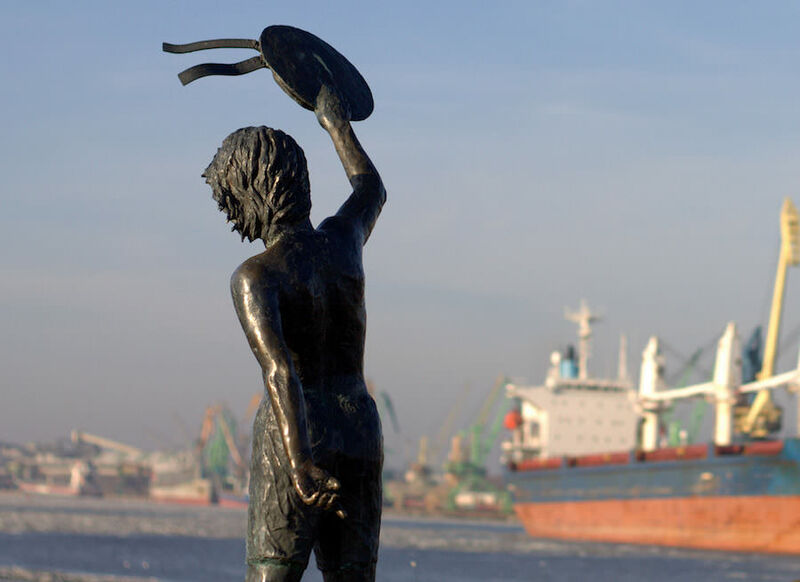 After World War I, Nida became part of the Klaipeda Region (Memel was separate from Lithuania back in the day) and finally added to Lithuania in 1923. Due to its historic ties with Germany, Nida is (unsurprisingly) an attractive place for German visitors. The spectacular strip of land also known as Neringa is a national treasure with drifting white sand dunes, deep blue waters, evergreen forests and distinctive architecture. 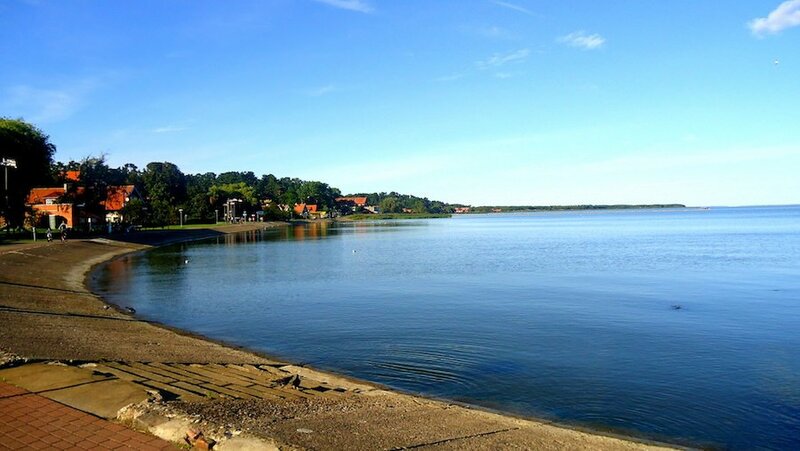 Nida is a one of a kind tranquil oasis surrounded by nature. 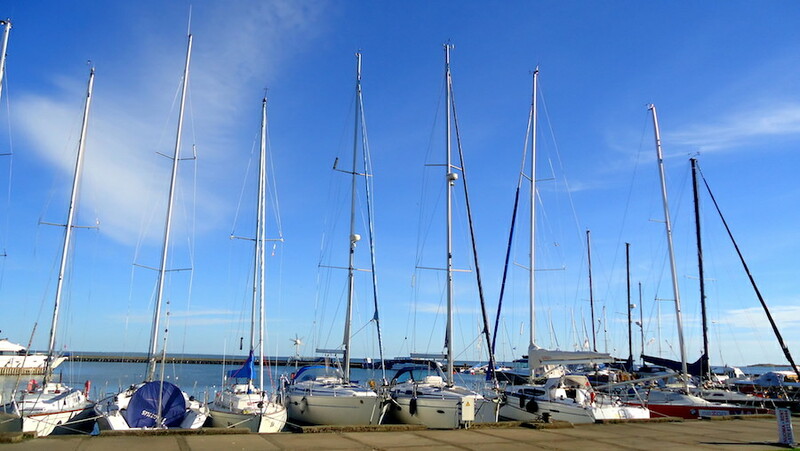 It’s a place for those who love to stay outdoors, go on hikes, bike, kayak or sail away to the open waters of the Baltic Sea. The idyllic surroundings and nearly extinct architectural heritage makes Nida a memorable place to visit. The wooden houses are still inhabited by the locals who also may offer accommodation facilities to the many visitors. The picturesque waterfront by the lagoon is peppered with colourful fishing houses featuring traditional local wooden constructions. Pop into the Ethnographic Fishermen’s Museum to have a full picture of what a fisherman’s life was like. The museum is now a replica of the original house which was damaged by the flooding. To the north of the town, along the lagoon, perched on a hillside sits another significant house. It’s home of the Nobel Prize laureate Thomas Mann who spent most of his summers here back in the 1930’s. The residence is now a museum housing the relics of the German novelist’s life. The museum also provides lovely views across the lagoon. 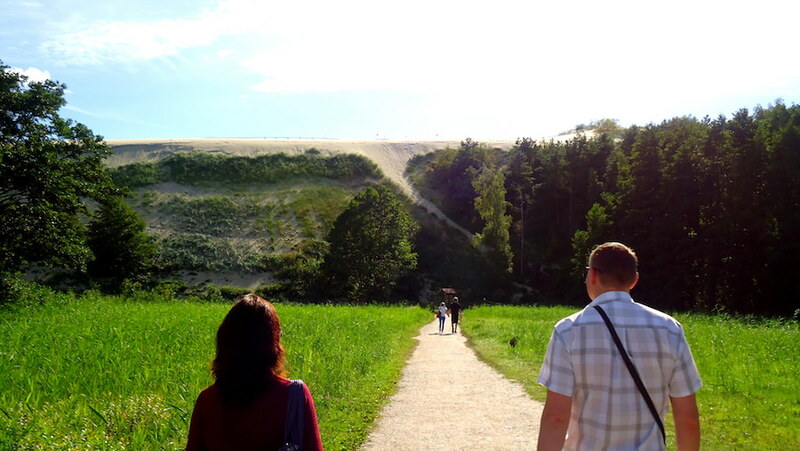 To reach the tallest moving sand dune in Europe head south of the town and climb the 180 steps to reach the top but don’t stray away from the footpath. The dunes are constantly affected by the wind and the preservation of the delicate landscape is absolutely crucial. 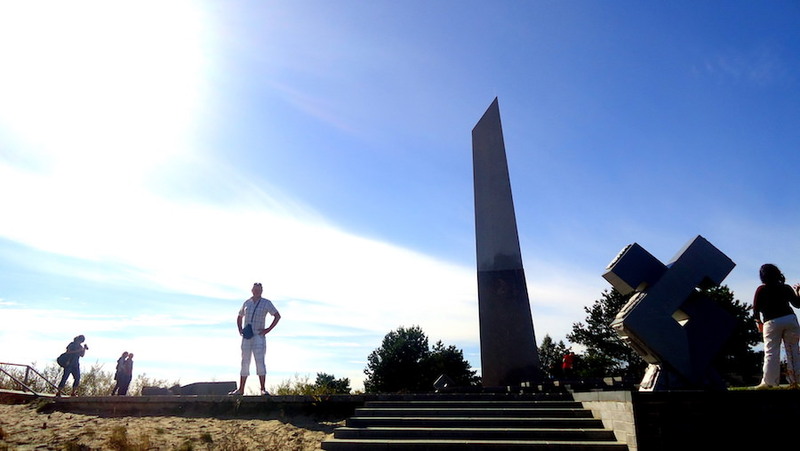 Apart from panoramic views of the harbor, Parnindis Sand Dune is also home to a stunning sundial. Have a closer look at the 12 m high stele of the sundial. It was snapped in half by a hurricane back in 1999. The viewing platform opens up into the never-ending nature reserve of the ‘Dead Dunes’. Feast your eyes on the lagoon from one side and the Baltic Coast on the other, separated by the beautiful pine tree forest. Even if you are not a romantic, I highly recommend coming here for both the sunrise and the sunset. This is the only place in Lithuania where the sun rises from the water and then sinks back down into the water. Summertime in Nida is a buzzing season. 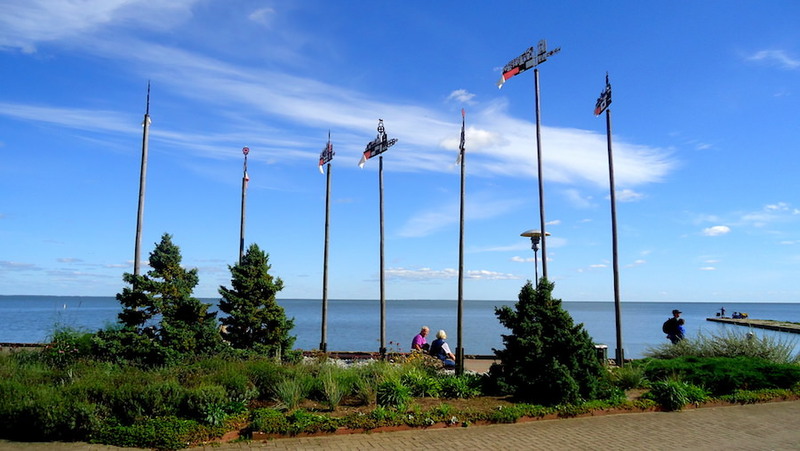 A large variety of events takes place in the heart of the village from spring until the end of summer, including the International Film Festival, Curonian Lagoon Regatta and a handicraft festival. The latter is an interesting event to see. Medieval inspired market stalls sell traditional pottery pieces or wooly socks for colder seasons. You can also have a go at a traditional wooden boat gouging, watch a medieval knight performance or try your eye at archery for a small fee. Winter is in contrast a very quiet time for the village. Some of the restaurants close and mostly only the locals can be seen. It gets pretty cold here, but the landscape can still be equally beautiful covered in snow. On a sunny day the sparkly white snow can look rather fascinating against the navy blue waters. Don’t forget to explore the Nagliai Nature Reserve. It protects the remarkable component of the Curonian lagoon, the dead dunes, shifted by the wind into a spectacular ridged landscape. The dead dunes are a silent cemetery to the villages which were covered by the rapidly moving dunes. It’s believed that the speed of the dunes ranged from 0.5 up to 15 meters per year and people were simply incapable of fighting them back. Nagliai Nature Reserve presents visitors with a fascinating thousand meter long trail through the Grey (Dead) Dunes. There are wooden and gravel paths built to lead visitors through this spectacular nature reserve to help preserve it. Please be mindful when walking the trail and only stay within the marked path. 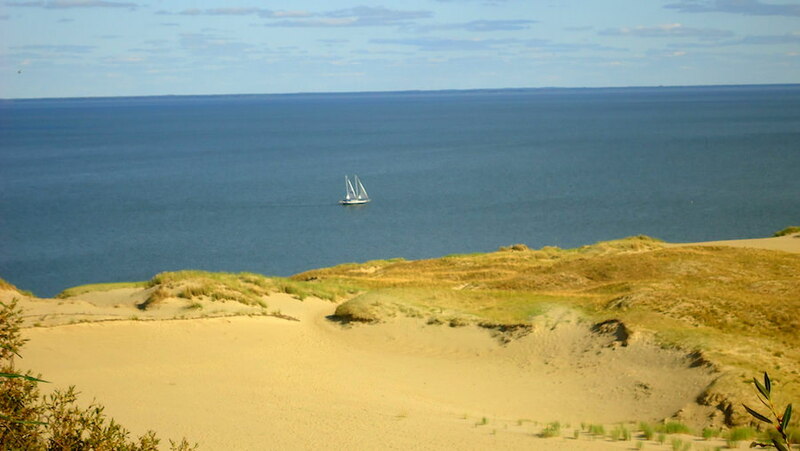 Nida is located around 50 km from Klaipeda, across the Curonian Lagoon and along the length of the sand spit. 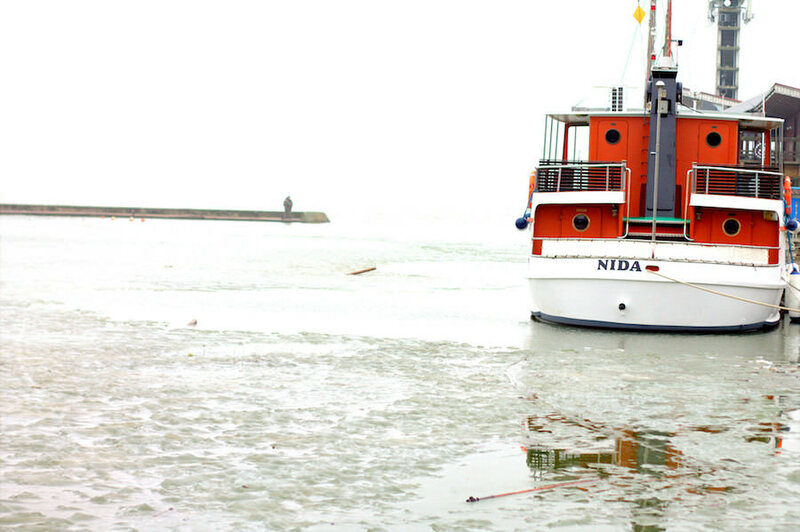 There are two ferries from Klaipeda that take passengers across the lagoon so choose which one you’ll take when planning a trip to Nida. The Old Ferry Terminal is located near the Old Town (Northern Horn, Danės st. 1, Klaipeda) and carries pedestrians and cyclists only. Tickets can be bought at the terminal and cost €0.80 per passenger. Local buses operate a regular schedule for passenger going to Nida. The New Ferry Terminal is located slightly further away (Nemuno st. 8, Klaipeda) and carries cars, bikes, trucks and pedestrians across the lagoon. Again, the ticket can be purchased at the terminal for €11.05 per car plus an additional seasonal ecological fee to enter the national park. The fee varies depending on the season. From the end of June to the end of August, the fee is €20 per car. Cyclists will find an epic cycling route through the national park. The road to Nida is flat and has a number of rest stations. 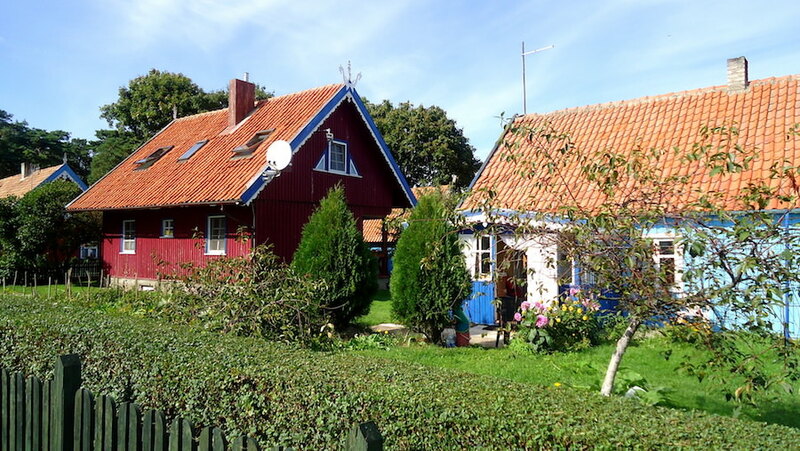 If you are looking for a peaceful and comfortable stay, check out the guest house Prie Marių (Purvynes 9-1, Nida). The rooms are tastefully decorated and some of them have lovely views of the lagoon. The host is very friendly and will ensure an enjoyable stay. We love to inspire others to get out there and explore our amazing planet. 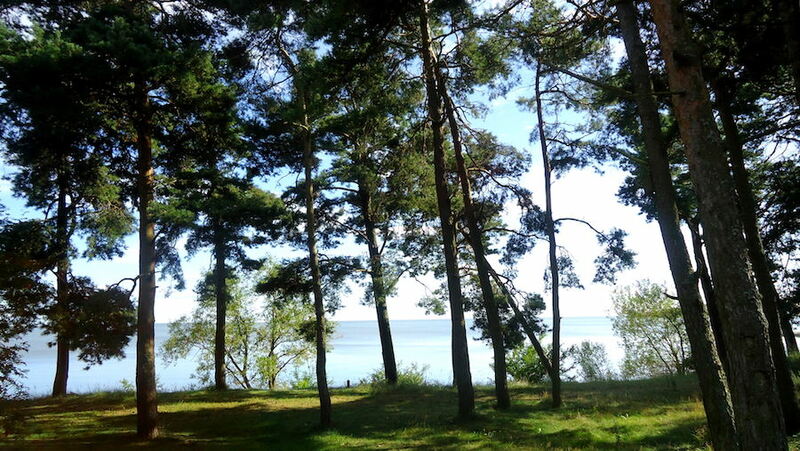 I’ve never known about Nida but look how picturesque it is. Such a wonderful place. That dead dunes in Nida is really remarkable. Thanks for the glimpse. I love tracking down UNESCO sites. This one looks awesome! Beautiful photos. I’ve been there before, albeit when a million beetles washed up on the Baltic coast. Still managed to catch the sunrise, though! No way?! Strange. 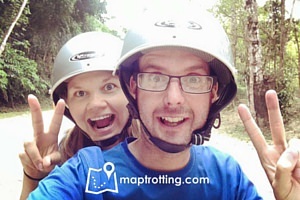 We’ve never been, and actually this is the first time we’re hearing about it from Maptrotting.com. Thanks Nicholas, so glad to hear you’ve been there before, although really weird about the beatles… Hope it didn’t spoil your experience too much. Great, that place is looking so beautiful and it is full with natural beauty. so stunning photos you shared of that place.